Another source on the Australia mainland. An event somewhere else in the World or at Fukushima. A secret device test in Australia. Were the Caloundra and Tasmanian detections just coincidental? Any suggestions or relevant information regarding these detections are welcome. July is winter here in the Southern Hemisphere. Since the Fukushima Nuclear Catastrophe in 2011, long term local data collection is showing an increase in winter local background levels. Caloundra July month average, year comparisons. Sites that were no longer operating have been removed, and new monitoring stations added. 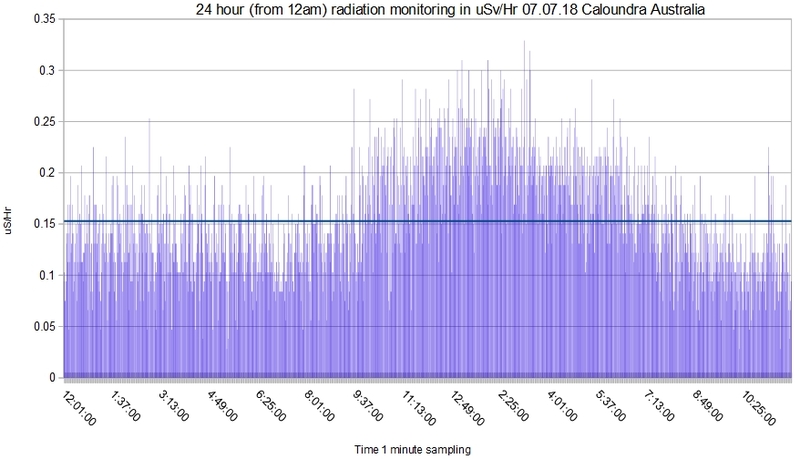 Very surprised to find this significant detection showing up on the Caloundra 24 hour chart for the 7th of July. There had been an up tick in background at the beginning of July compared to June 2018, but the 52% above day average detection was a shock. Wind direct at the time was from inland Australia which was also very surprising. See Nullschool 7th July wind chart for Caloundra. Caloundra 24 hour 60 second sampling chart for the 7th July. 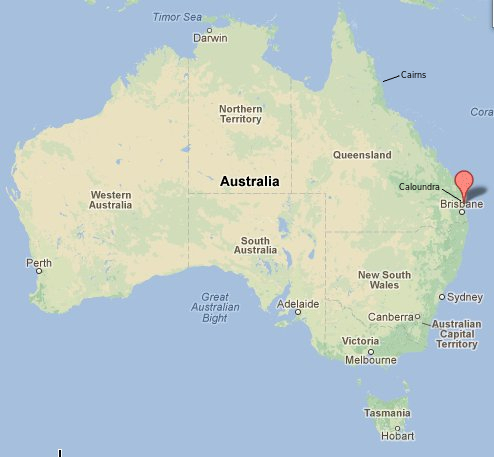 A few days before the Caloundra detection, a contact in Tasmania informed me of spikes in his local background. These spikes in background in Tasmania were detected on two separate detectors. On the 4th July the Tasmanian wind direction source was also off the Australian mainland. What the chart colour codes mean. What is the source of these significant Australian winter detections? Was there an event or release on the Australia mainland? 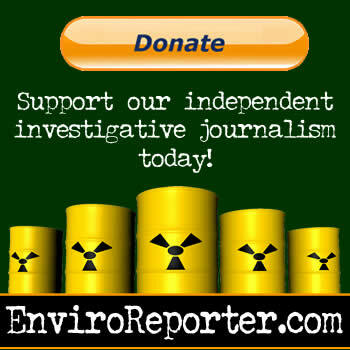 Has a significant unreported nuclear event occurred somewhere in the world? Were these detections unrelated and just coincidental? Suggestions and information related to these detections are welcome. This short animation of Northern and Southern Hemisphere air circulation, shows why we can get detections so far south. June is winter here in the Southern Hemisphere. The long term June data is showing a gradual increase in winter local background levels, since the Fukushima Nuclear Catastrophe. Caloundra June month average, year comparisons. Caloundra May month average, year comparisons.